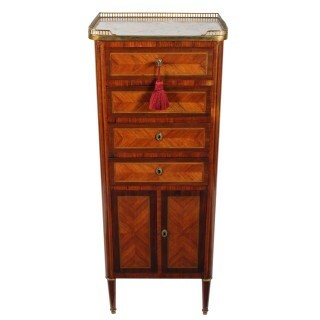 A slim late 19th to early 20th century French kingwood veneered cabinet. 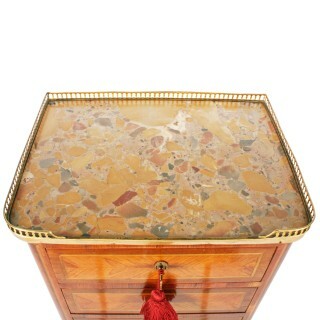 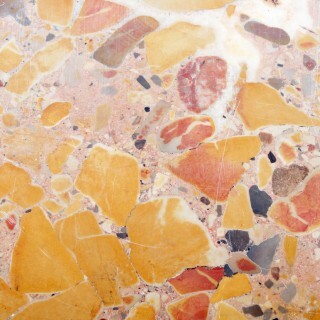 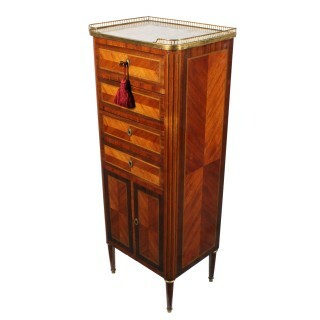 The cabinet has a variegated marble top with a pierced brass gallery to three sides. 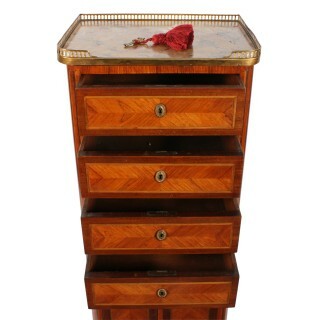 The cabinet has four oak lined drawers with kingwood quarter veneered fronts that are inlaid and mahogany edged and have brass keyhole escutcheons. 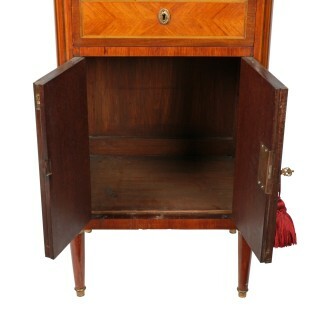 The cabinet has a pair of cupboard doors that are veneered to match and have a working lock and key. 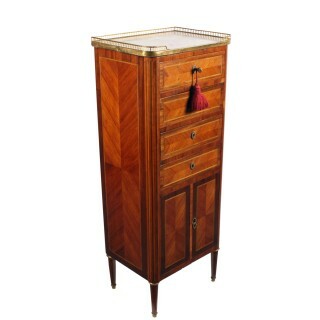 The sides of the cabinet are quarter veneered and inlaid with triple line inlay decoration in the corners. 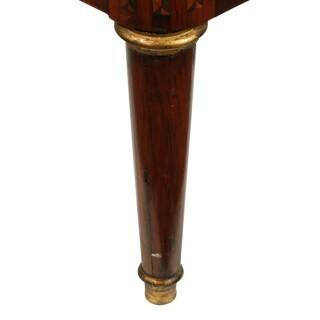 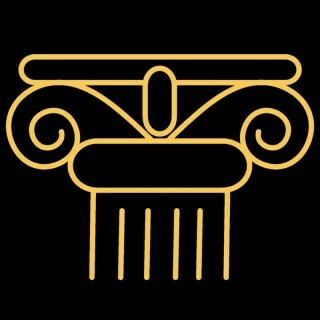 The cabinet stands on four turned and tapering legs that have brass toes.